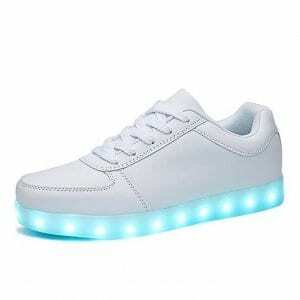 Order the popular pair of white LED shoes for kids low top excellent prices guaranteed. 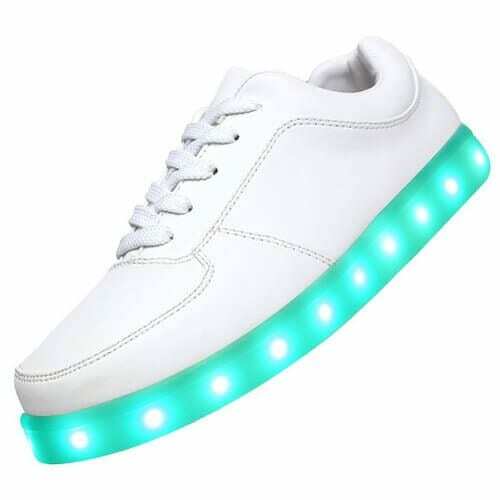 These sneakers with lights are 100% water-proof and brighten up in a lot of colors. 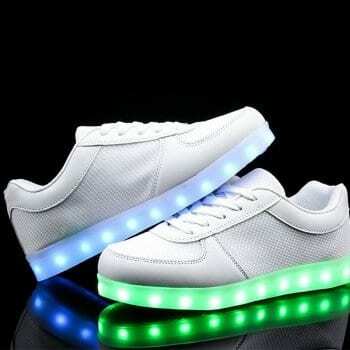 Changing the colors of the light up shoes is quick and relatively simple with merely the click of a button that is seen inside the new shoes that light up. 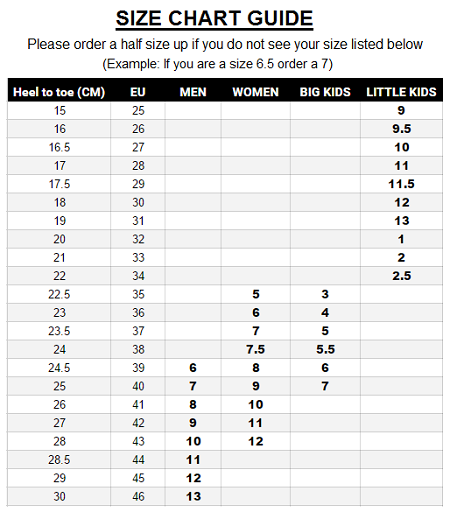 You have plenty options to pick the colors of the light up bottom shoes. 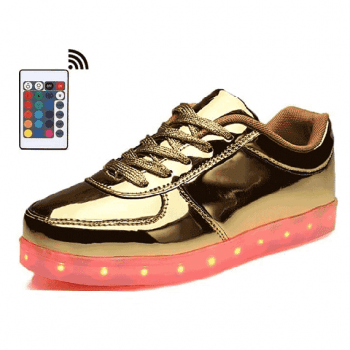 With the help of a button placed contained in the light up shoes on sale you can set in place the multiple settings to display a solid color or multi color light design and style. The sneakers light are comfortably guided via a cellular phone app if you choose to do so to update. 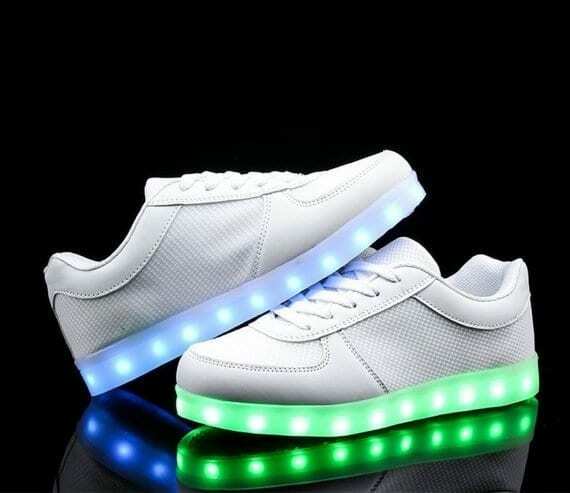 This particular pair of led light up sneakers encloses a USB cable for easy and accommodating battery charge that endure 9 hours. A lot of people are wanting to know where to buy sneakers with light up soles to wear for the next work party, festivals, parties, and dance competitions. 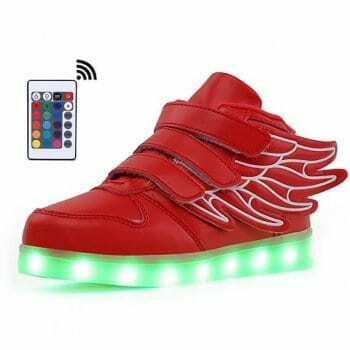 Kids light up shoes make a great treasure for your children. They won’t destroy in the water and are not dangerous to sport for any opportunity. 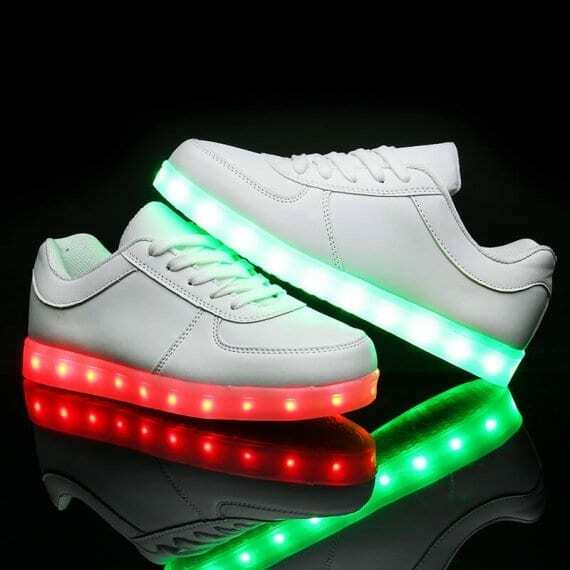 These light up sole trainers for boys and girls are very fashionable among adults and kids. Pleasant insoles and versatility make these fantastic light soled shoes. 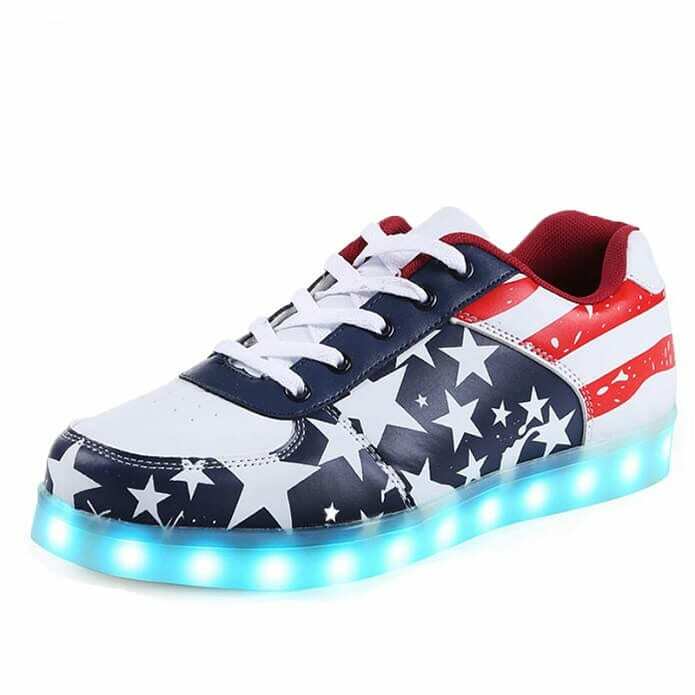 Look forward to gaze and comments because these light up led sneakers are absolutely to be a hit no matter where you utilize them. So secure a pair of light up new shoes now and be the envy of other people and also all of your brand-new admirers!